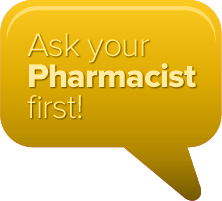 Ask the Pharmacist We are here to help and advise you. At Treacy's Pharmacy, we see ourselves as an important part of your healthcare team next to your GP. If you have any questions about your medication after you leave the doctor's surgery, then the Pharmacists at Treacy's Pharmacy can answer them for you.